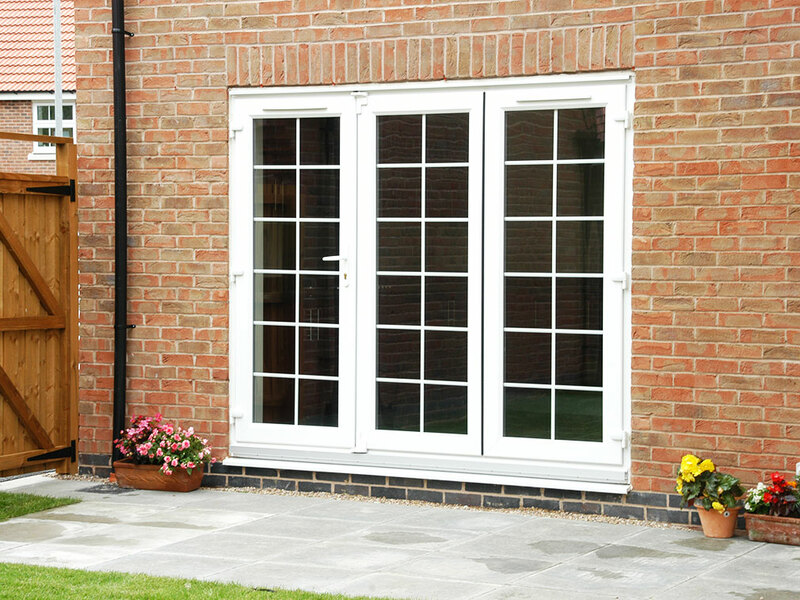 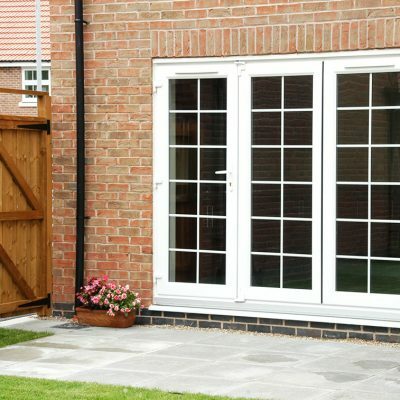 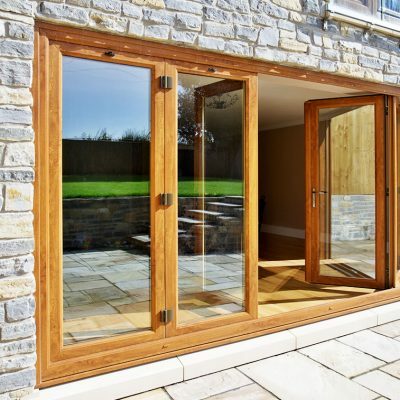 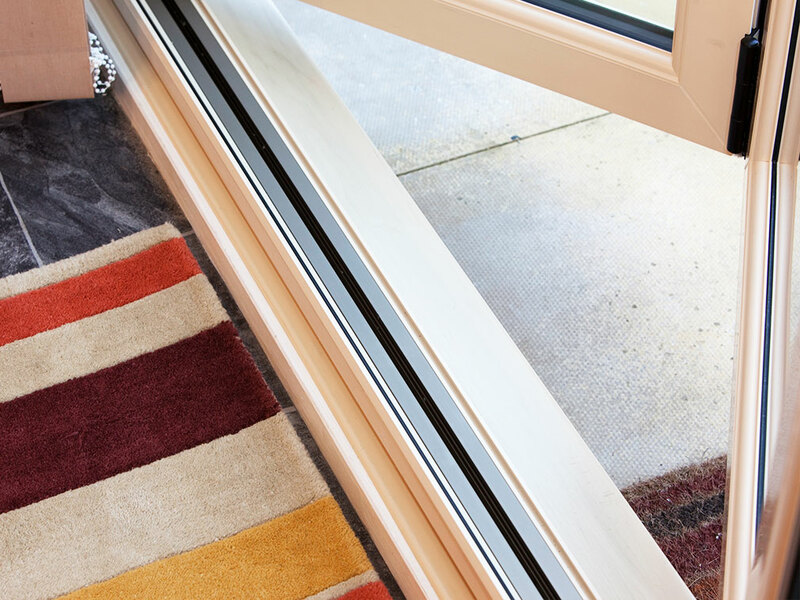 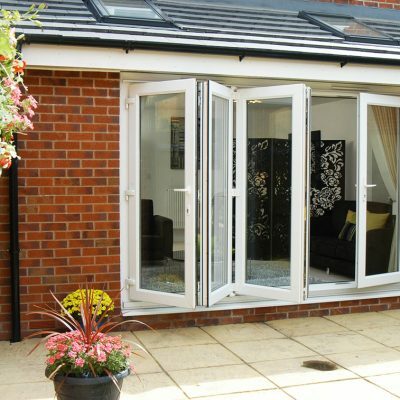 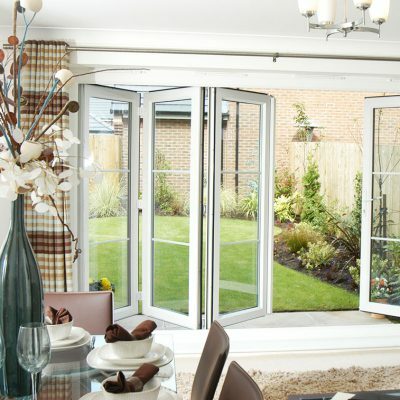 Bifold doors from Climatec Windows can be fitted with high security cylinders. 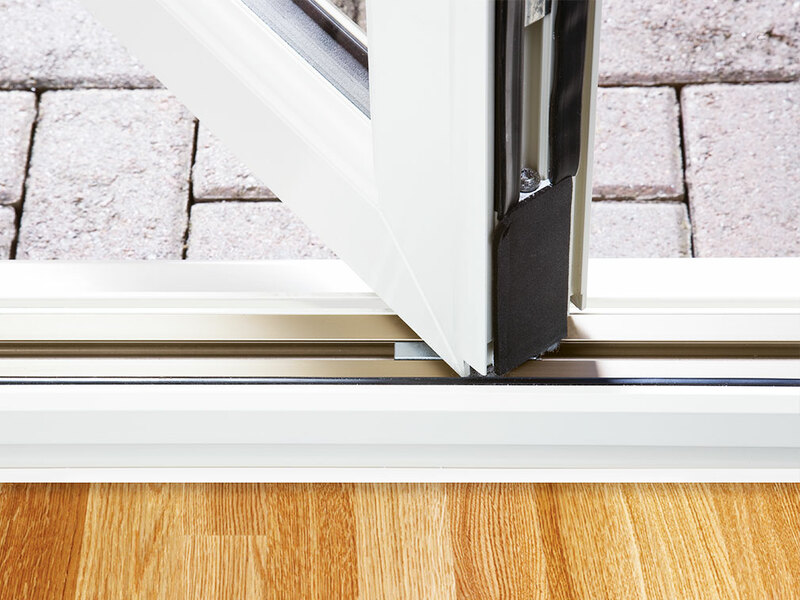 Their folded D handle is flush with the door and engages the shoot bolt locking system when the lock is activated. 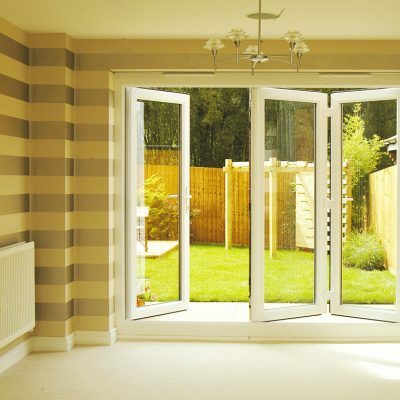 We can supply bifold doors with several durable colour options. 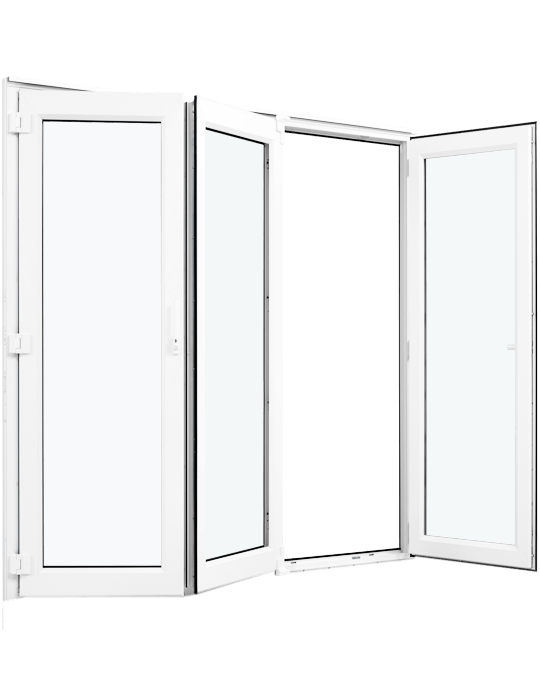 Depending on your customer’s requirements, choose open-in or open-out configuration with left or right sliding options. 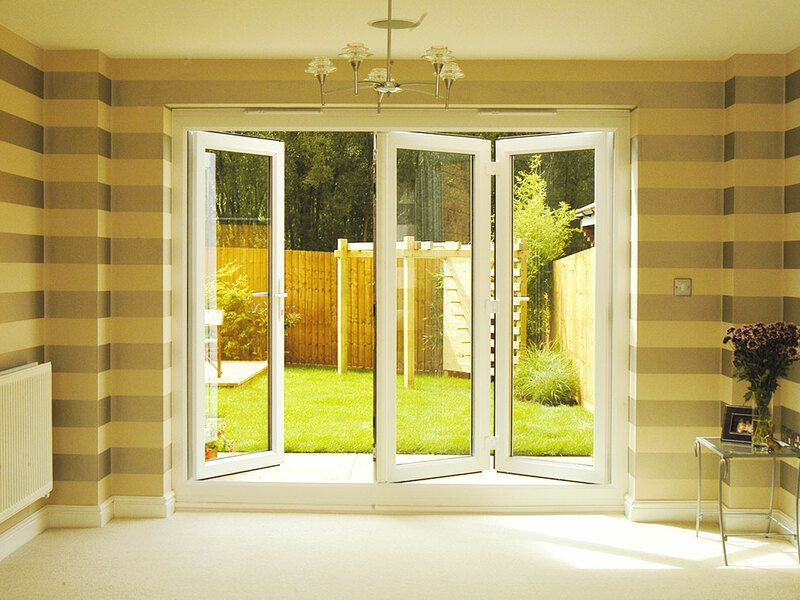 Bifold doors are available with up to 7 sashes, enabling wide areas to be glazed. 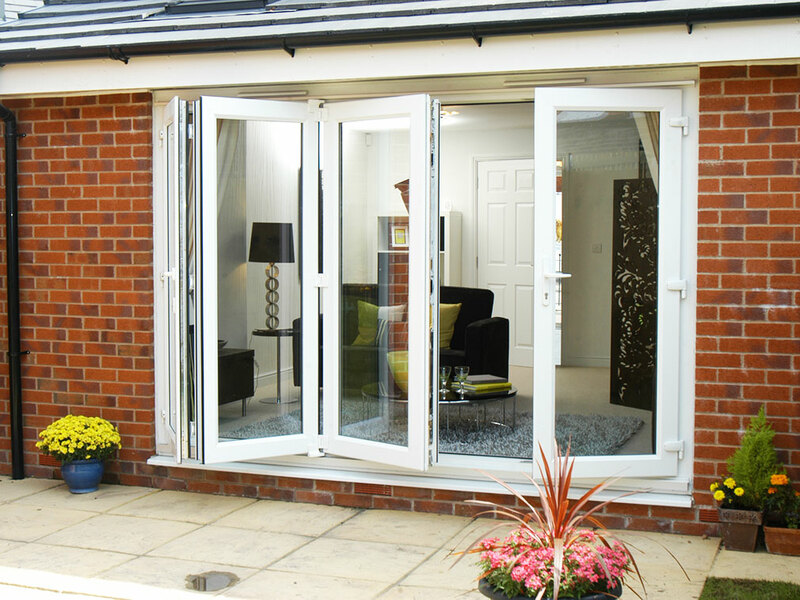 With a max sash width of 900mm and door height of 2,300mm; our bifold doors are suitable for a range of applications. 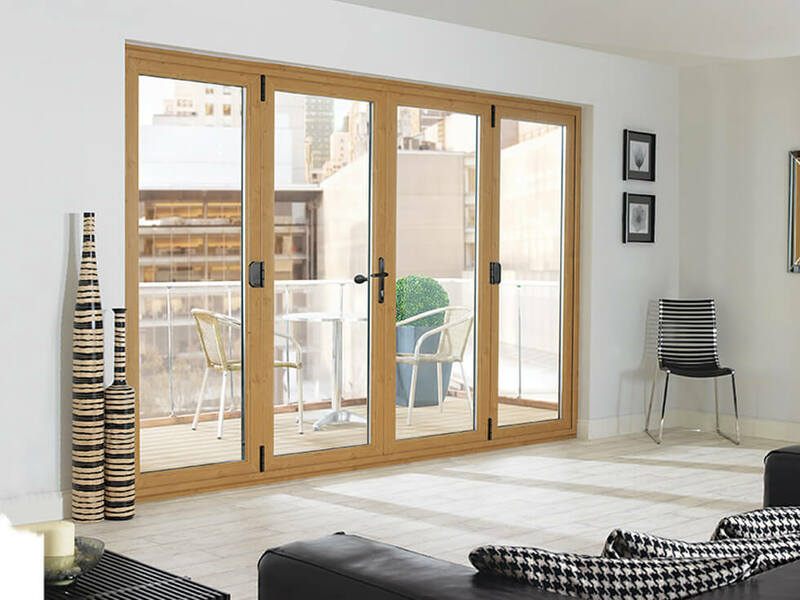 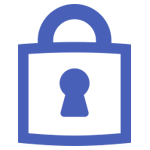 At Climatec, we supply high performing bifold doors. 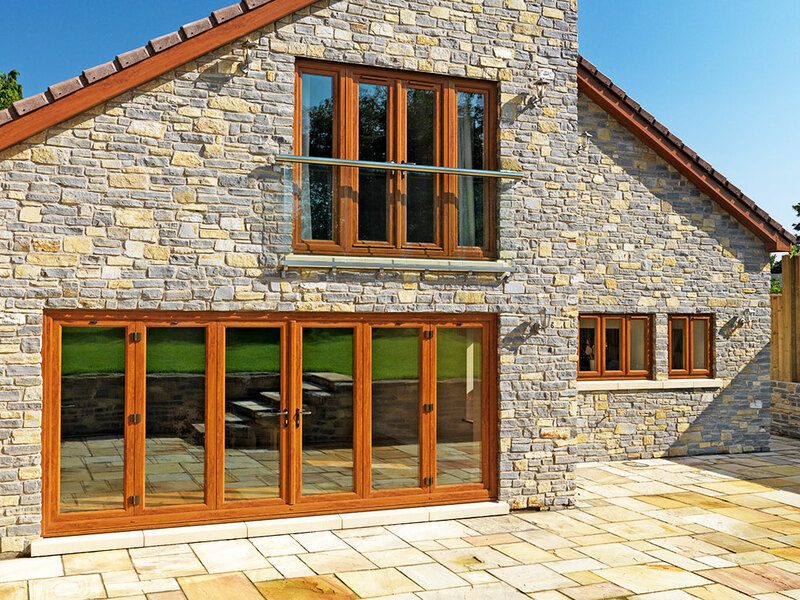 Depending on your requirements, we can buy in bespoke bifolds to suit your installation needs. 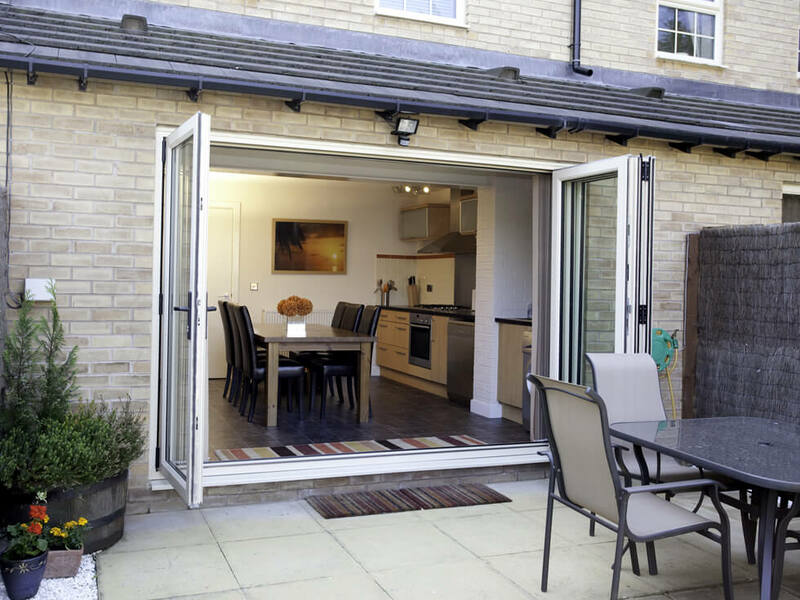 With a selection of hardware and security options to choose from, our bifold doors are an excellent product. 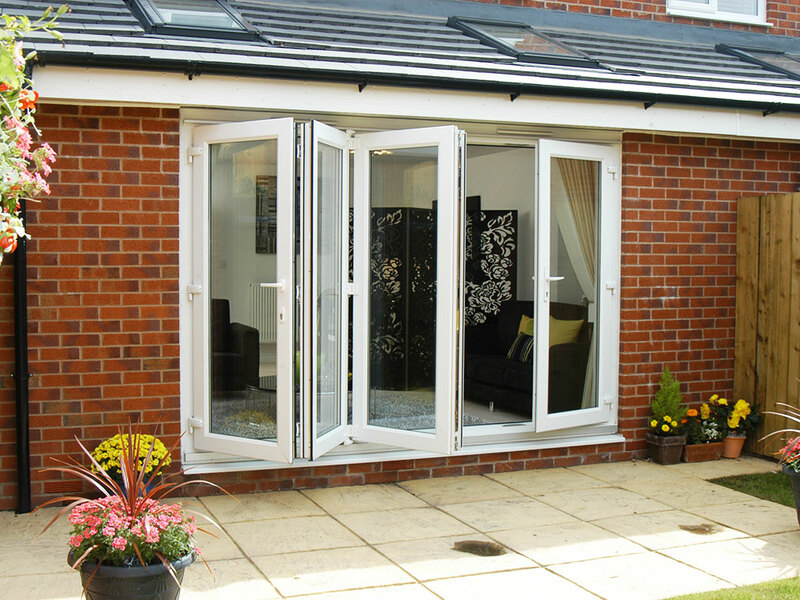 Bifold doors are an extremely versatile door solution. 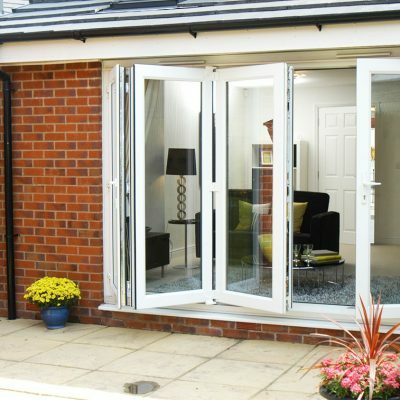 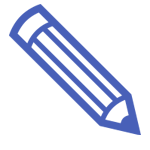 They can be used as a patio door, a conservatory or extension entrance, and even installed between two interior rooms to create a convenient movable partition. 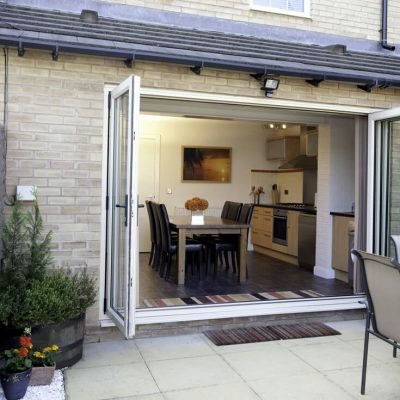 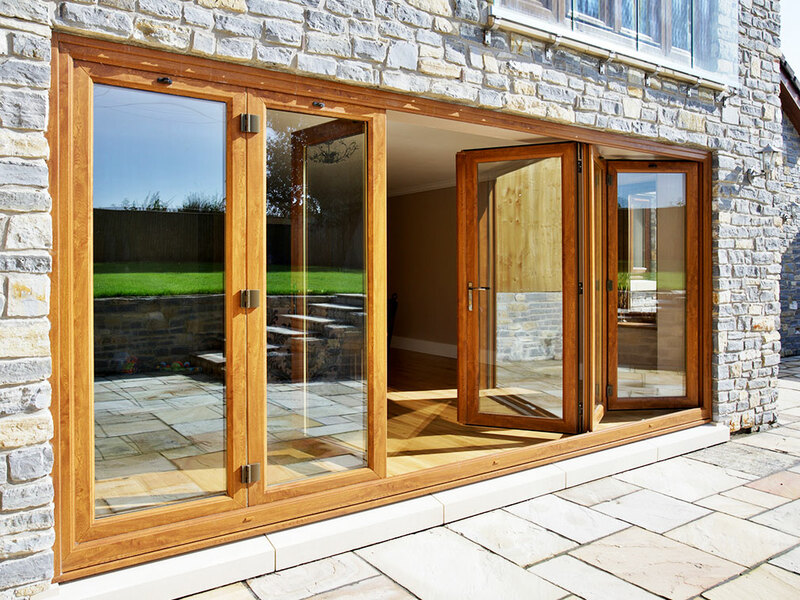 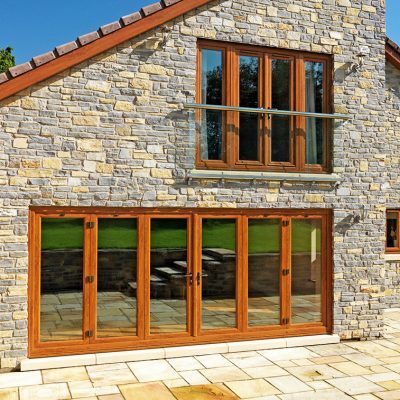 In recent years, bifold doors have seen a huge rise in popularity in the UK residential market. 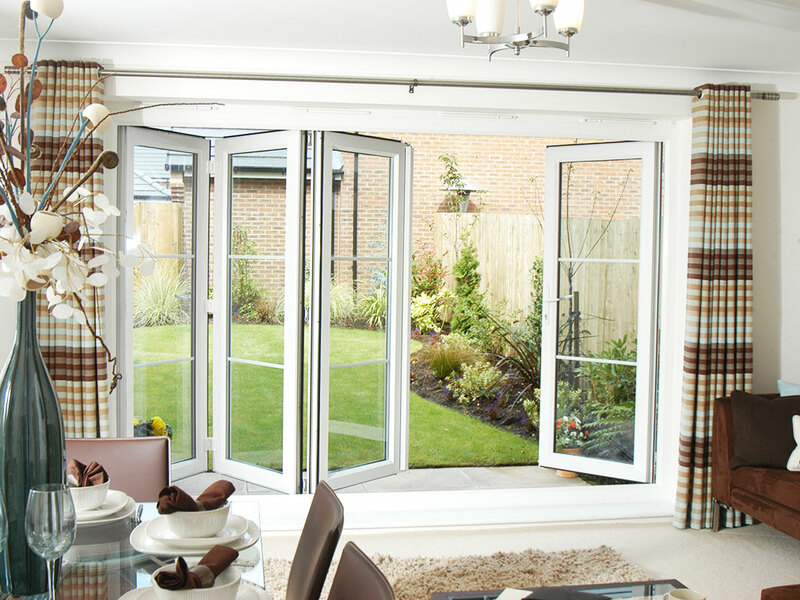 When you want to offer your customers the best in bifold door technology, Climatec's bifolds are an excellent choice.